If you didn’t join us at the 4th Annual Christmas Eve at Crowders, you missed out. 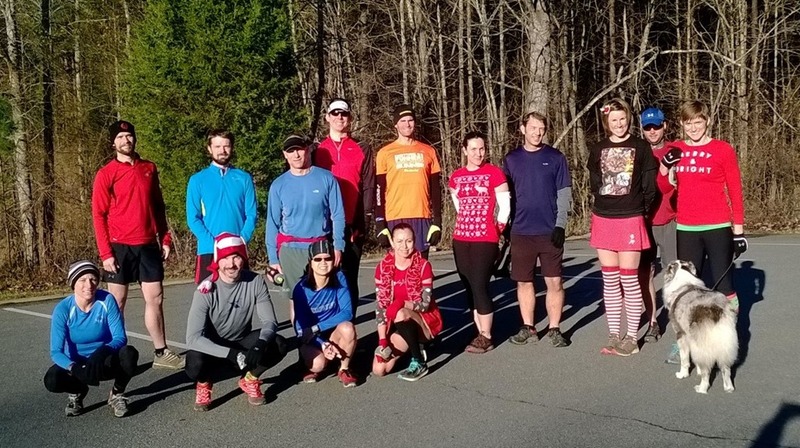 As part of the Carolina Trail Runner and Mountain Bike Meetup Group, we’ve gotten together every year for a little fun trail run. This year we started out at the park office and ran the Crowder’s trail to the steps. After a quick run up the many, many stairs, we took a little break at the top to enjoy the views. Our descent back was via the Rocktop trail which consists of some pretty gnarly, jagged rocks and a little bit of hand-over-hand rock climbing. Not a steady run by any means, but we had the opportunity to see some great scenery. 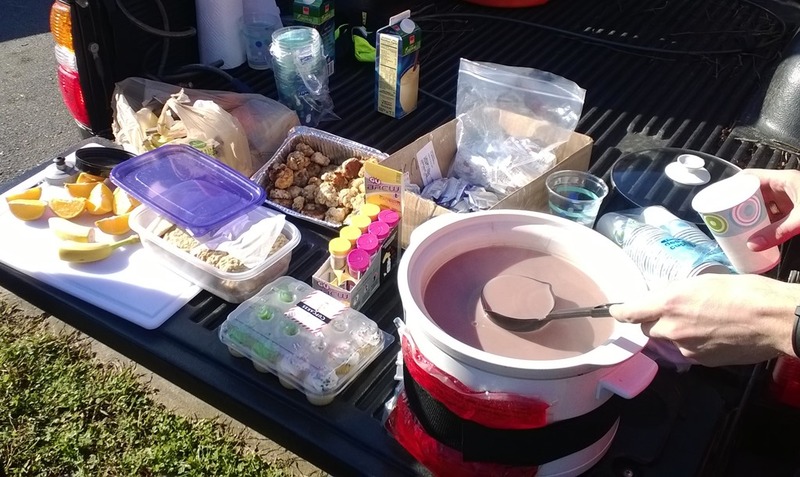 After the run, we all partook of hot chocolate, cookies, sausage balls and tons of goodies brought by everyone. We were even joined by the Salty the Yeti himself and he brought along a few of his friends. All-in-all, a great time had by all. Want to join in on the fun? We’ll be doing a repeat (sort of) at the 7th Annual New Year’s Day Almost Noon Almost 10k Unorganized Group Trail Run. Maybe the Salty the Yeti will join us again. By the way you can follow Salty the Yeti and his adventures on his Twitter feed.